It’s one of the most desirable places to live in the U.S.
On Livability’s 2018 Top 100 Best Places to Live list, Fort Collins ranked number 14 – ranking two spots higher than the 2017 list! It’s true, Fort Collins has made the list every year since 2015, due in part to mega-employers like Colorado State University, UCHealth, and Otterbox; a second-to-none microbrewing industry; the thriving community of artists and musicians; educational opportunities at Colorado State University, Front Range Community College, and nearby University of Northern Colorado; numerous unique restaurants; and its proximity to all things outdoors. 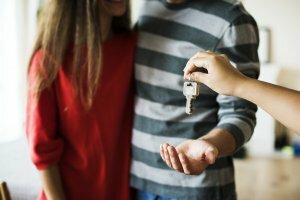 As a real estate investor in Northern Colorado, you know that buying a rental house in a desirable market is one of the first steps. As you consider Fort Collins real estate investments, you can check this one off your list. The housing market is growing, yet still affordable. According to Realtor.com, Fort Collins is ranked #1 in the growth and stability amongst U.S. housing markets. Affordability is the name of the game here – with median home prices registering at 20% less than Denver, and 40% below Boulder. With an unemployment rate of merely 2.9% and the affordability factor, Fort Collins is the ideal location for real estate investment, because you can get in cheaper than elsewhere and still find quality tenants. Another Colorado winter is upon us, and that brings good news for Fort Collins real estate investors. In the wintertime, the market slows down a bit, and homebuyers buckle down for the long, cold season. Traditional homebuyers are less likely to buy in the winter in Colorado, so now is the time for Fort Collins real estate investments, while the market is in your favor. Although rising interest rates aren’t exactly music to the traditional homebuyer’s ears, for those considering Fort Collins real estate investments, it’s a beautiful melody! Cash is king in the Fort Collins real estate investment market, and when you’re buying with cash, interest rates are a non-factor for motivated cash investors. The higher rates will keep the competition low and help your edge in this market. Fort Collins has a steady market of renters. Students, families, and short-term employees are numerous in the Northern Colorado area – and particularly in Fort Collins. With students always graduating and moving into the local workforce, there’s always an opportunity for the Fort Collins real estate investments to thrive. Also home to a smattering of tech industry giants like HP and Intel, there’s guaranteed to be a workable price point for every Fort Collins real estate investment. In addition, RealityTrac projects that only 0.6% of Fort Collins real estate investment properties are vacant. If you were looking for your sign, that’s a pretty good one! If you’re in the market for Fort Collins real estate investments, look no further than NOCO Invest. No matter if you’re an investor looking to add cash-flowing properties to your rental portfolio, or a rehabber looking for great deals with wide margins to fix and turn around for a profit, or someone ready to make a move with a Northern Colorado investment property, we can help you find just the right place. We have an insider’s advantage to help you find Northern Colorado investment properties at 30-50% below market value. Contact us to learn more about how we can work together to make your real estate investing goals a success.